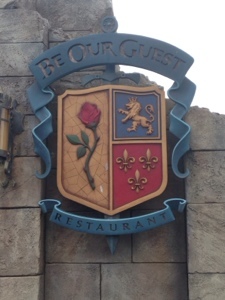 During the Disney trip last week, we were able to snag a coveted Be Our Guest Restaurant reservation for Friday night. Sometimes you worry that a restaurant cannot possibly live up to the hype it has gotten, but oh my goodness this one did. 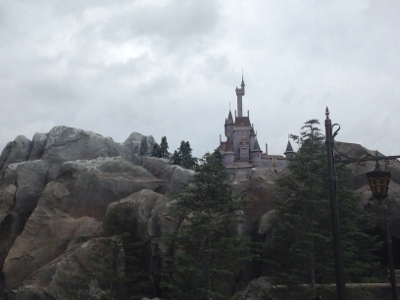 The setting of beast's castle was amazing outside and in. 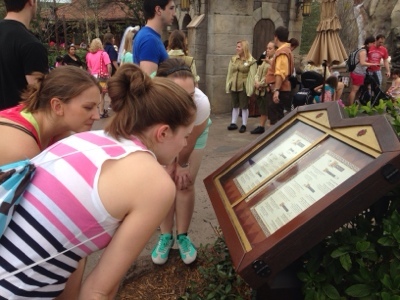 And the little details that only Disney would pay attention to including were incredible. I mentioned before that it started drizzling right after we walked up and got our little pager to hold until our table was ready. 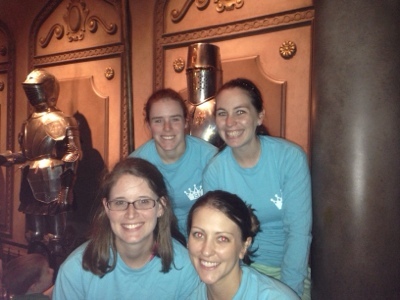 Well they quickly realized that we were getting a wet (although like good girlscouts we had brought ponchos) and let us inside to wait in the armor room. Pretty cool to get to hang out in there for a little while. 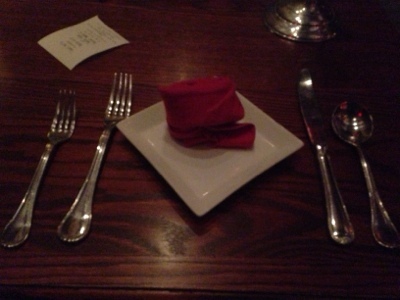 But before we knew it it, the pager went off and we were ready to head to our table. 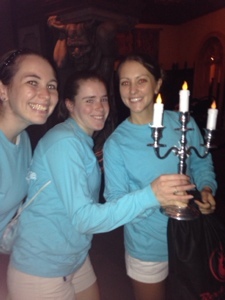 The hostess comes to get you with a candelabra and gives it to you to walk with as she shows you around the place. 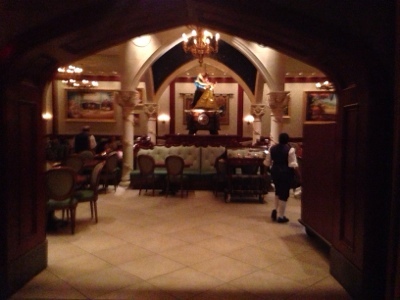 There are three different dining rooms you may be seated in. 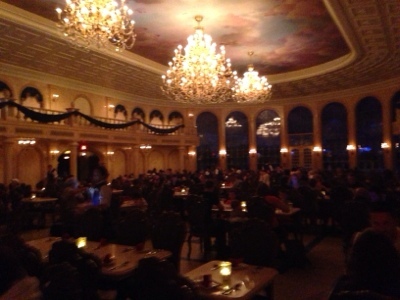 We got to eat in the West Wing and it was spectacular. The pictures do not do it justice. 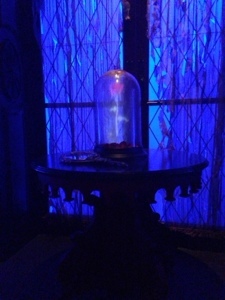 This is where the rose is kept which continues to lose petals throughout the night. 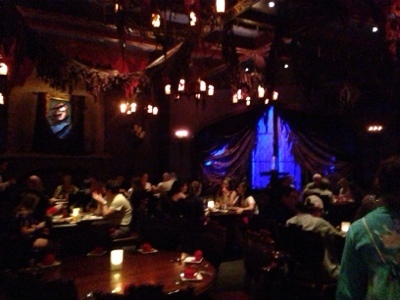 The room is dark and it thunders claps every 7 minutes or so, so they tend to not let small children eat in there. When it thunders the lights in the room flicker and a torn picture of the prince on the wall briefly flashes to a picture of the beast. The food is amazing. 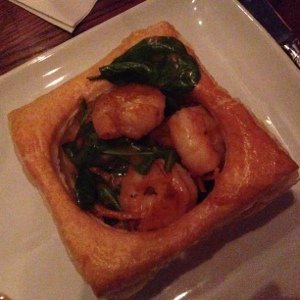 Kristen and Christine got the Salmon, while Kimmie and I got the shrimps and scallops in a pastry shell. It was all good. 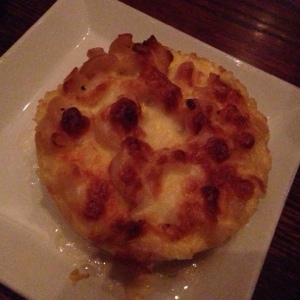 We also got a side of the mac and cheese to share since none of our meals came with it and it was really good too. And when you are dining in France a toast with a glass of wine is in order. Then there was dessert. I had to get the "Grey Stuff" because where else do you see that on the menu? It was basically a cookies and cream mousse on a brownie. The mousse was really good, the brownie was definitely not. 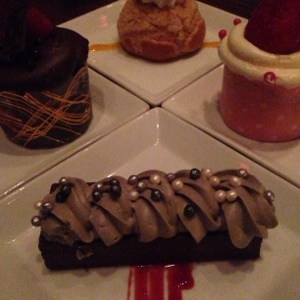 The other girls got other desserts so we could share and try different things and theirs were overall better. But I'm still glad I tried the grey stuff. 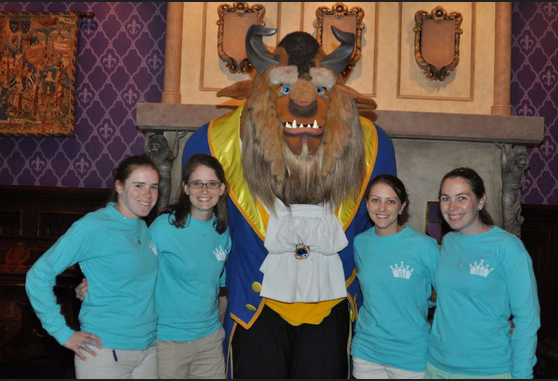 After our meal we made our way to the castle study where we came face to face with our host, the beast. He was huge! 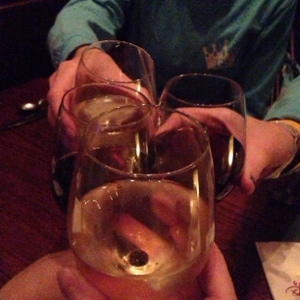 It was such a fun dinner! 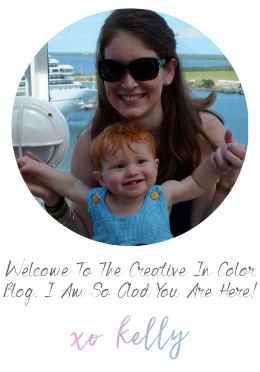 I can't wait to go again and take Andrew and P this fall!